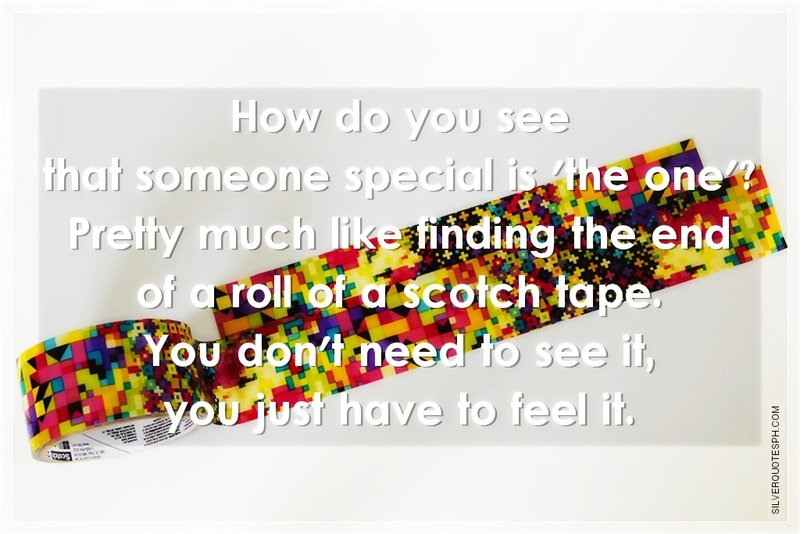 How Do You See That Someone Special Is The One? How do you see that someone special is 'the one'? Pretty much like finding the end of a roll of a scotch tape. You don't need to see it, you just have to feel it.